Our diving club is an international dive club and is recognized by PADI, CMAS, NAUI, BSAC and other diving organizations. We have renewed dive gears from various brands as SCUBAPRO, MARES, CULTRISUB and CRESSISUB annually. Safety is our priority so we operate with Deco International, a clinic and Decompression chamber to ensure the safety of guests and locals. Daily diving is a cocktail of all kinds of dives, as there is unlimited house reef diving where schools of baby barracudas, snappers, can surround you. Our dive guides will be delighted to take you on a trip to Hamata, 100 KM south of Tondoba to catch a boat to Fury School in the deepest south on daily or overnight trips to make sure that you get the south satisfaction! Our policy is personal service and tailor made holiday, with our staff ability to fulfil all your expectations a given. After diving we hang on our beach bar Ganouby to enjoy our famous fresh juice and cocktails (or you can grab a cold beer to help you to decompress). The strawberry on top of the cake! We drive up north to dive Abu Dabad bay (National Park), where you can get close to the sea cow (dugong), big turtles and, guitar sharks. 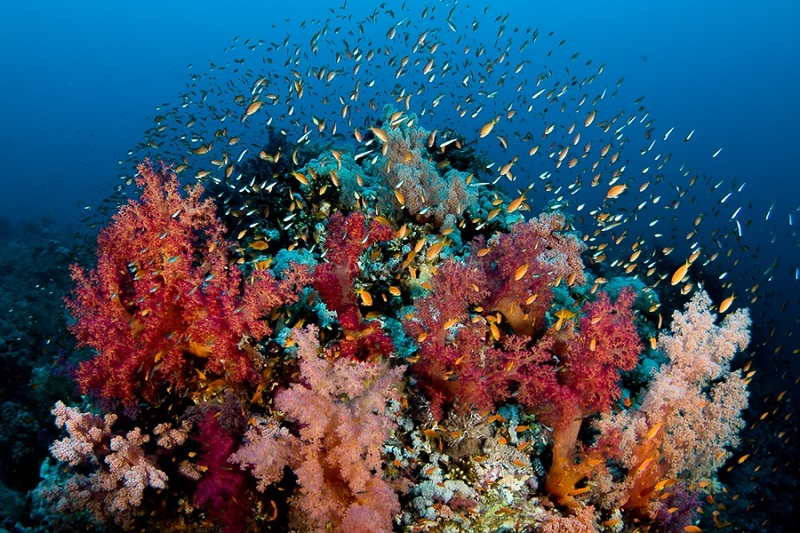 To dive the nearby reefs where you can enjoy a mix between soft corals and hard corals. Not to mention the turtles, snappers, white tip sharks, and believe it or not, dolphin school cruising!